Welcome to our web-store. 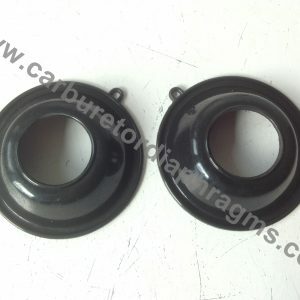 If you continue to browse, use and purchase from this website, you are agreeing to comply with and be bound by the following “Shipping & Return Policy”, governing www.carburetordiaphragms.com relationship with you in relation to this website. If you disagree with any part of this “Shipping & Return Policy”, please do not purchase from our webstore. 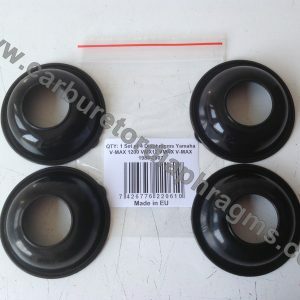 In this “Shipping & Return Policy” the terms “www.carburetordiaphragms.com”, “We” or “Us” refer to the owner of this website and the term “You” refers to the user or viewer of our website. 1. 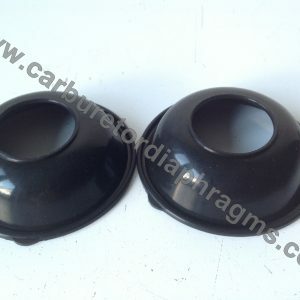 The shipping for all our items will be free and totally on “Us” unless otherwise is specified in the item description. 2. “We” ship Worldwide from London, UK with Royal Mail “Tracked and Signed” service ONLY so “We” can prove at any time that your order has been sent. Once your order is prepared and completed you will receive an automatic e-mail with your tracking number. It usually takes 3-7 business days to European Union, 7-15 business to USA and Canada and 15-25 business days to the rest of the world. 3. The items can be returned within 30 days of receipt. The return postage of items is responsibility of the purchaser. Returned parts must be in the original condition. If items are returned damaged or pieces are missing from sets this may result in refund refusal or re-stocking charge. Items must be returned using a track-able service and must be returned within 30 days of receipt. 4. In case of return you will be refunded with the full amount of your purchase less the shipping charge initially spent for your order to be sent. Even though we offer a “Free Shipping” on everything, we still spend money to send your order and this amount will be discounted from your refund in case of approved return. The amount of the initial shipping charge will be proven with Royal Mail receipt as we keep records for all our orders. 5. In the event that your order is not delivered, you must report this to us after 30 days of the date of placing your order. We will not compensate you for the non-delivery of an order as this is not our responsibility but we will fully cooperate you with tracking info, proof of sending, receipt for sending and etc. PLEASE PRINT A COPY OF THIS “SHIPPING & RETURN POLICY” FOR YOUR RECORDS!